At Quick Trip Express, we strive to provide the very highest level of service to you and your customers, to exceed the performance of our competitors and to always remember that the nature of our business is customer service, not merely the movement of freight. We are a full service custom Cartage Agent. Self managed sta numbers and testing. We offer online tracking , Pod's & full EDI capabilities. We have been in business in the Tampa Bay Area for over 25 years. We have no in-house forwarders. 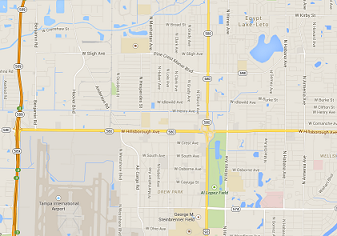 We are located in a 30,000 Sq FT warehouse, within 2 minutes of the Air Cargo facility at Tampa International Airport. Our warehouse has 24 hour digital video monitoring both inside and out.